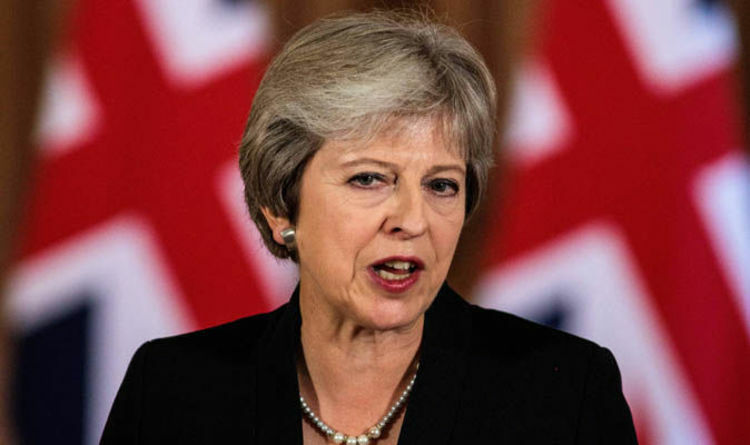 The stark Brexit clarity came as Theresa May found herself, and her Chequers plan, facing a double mauling from a cabal of hardline no-deal Brexit MPs at home and an intransigent EU leaders abroad. Both are engaged in trying to destroy the Prime Minister’s Chequers proposals. Last night Mrs May came out fighting at an emergency press conference at No 10 warning EU bosses she refused to allow Europe to “make a mockery” of Britain’s 2016 Brexit referendum. And a senior Government insider confirmed to Express.co.uk all the work behind the scenes in Whitehall was about making Mrs May’s Chequers plan work – and that there was no viable alternative. The Brexit plan, that was agreed at Theresa May’s country retreat in Chequers, has been attacked by hardline leavers who say it offers too many concessions to the European Union. The plan involves maintaining a “common rulebook” for standards on all goods with the EU. By definition this would provide “continued harmonisation” with the EU rules. Crucially this would mean there would be no need to have a border between the EU and UK, including Northern Ireland. The UK would collect tariffs on behalf of the EU for goods which will end up in the single market. But Brexiteers says it would mean the UK would be a “rule taker” without a seat at the table making those rules. Some no-deal MP’s have branded it an insult to democracy. After being agreed by Theresa May’s Cabinet, David Davis quit as Brexit Secretary. He was quickly followed to the exit door by Boris Johnson who resigned as Foreign Secretary. The European Research Group, a Brexiteer pressure group chaired by Jacob Rees-Mogg, released their own Brexit plan to avoid a hard border on the island of Ireland whereby all qualifying businesses would sign up to an agreement to declare their goods would follow exactly the same standards of those in the European Union. But the insider said: “The ERG’s plan is a non-starter. It won’t work on Northern Ireland. “It is Chequers or nothing – more than 80 percent of the Withdrawal Agreement is in place. And we are absolutely working to the October deadline. EU leaders met in Salzburg this week to try and break a stalemate in negotiations. Theresa May said the time had come for the EU to work together to get the deal done. She said: “I know we won’t agree on every detail but I hope you will respond in kind. But critics said her proposals were “unacceptable”. Speaking at a press conference yesterday, after the EU27’s talks, Mrs May said her Brexit proposal was the “only serious and credible” plan on the table and there was no credible alternative. She said: “Concerns have been raised over Chequers. I want to know what they are. Hard work needs to be done. She added: “I am negotiating hard in the interest of the British people. I am also clear that we need to ensure there is no hard border between Ireland and Northern Ireland. “We are continuing to work for a good deal but there is a lot of work to be done and I will drive to deliver for the British people”.